On April 14, 1912, the Titanic struck an iceberg off the coast of Newfoundland. 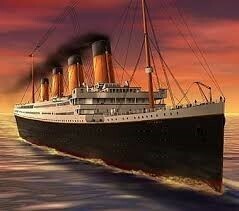 The Titanic was a luxury British steamship. It is now considered the most famous ship of all time. The ship’s full title is RMS Titanic.